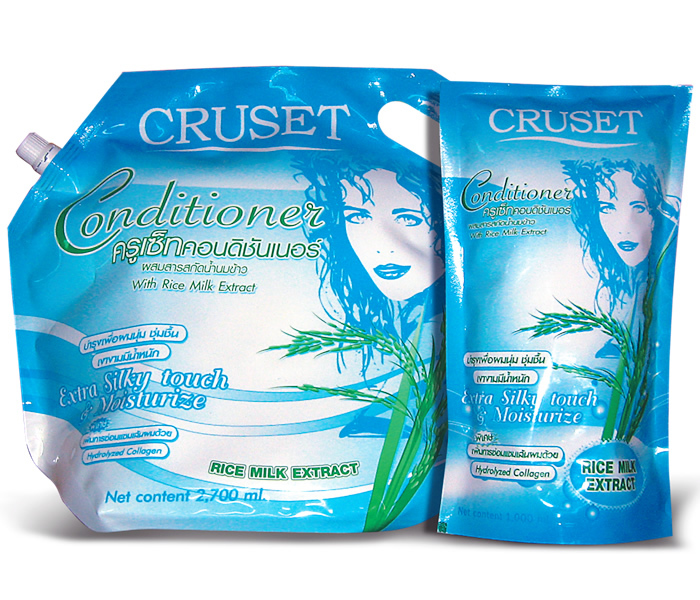 Cruset Conditioner With Rice Milk Extract 1,000/2,700 ml. A rich conditioner cream that deeply penetrates and moisturizes hair for all hair types and professional use. With Rice Milk Extract contains proteins, vitamins and minerals for nourishing, moisturzing and strengthening. Hydrolyzed Collagen helps repairing and Panthenol Provides hair softness and healthy shine. C461000C100UT Shampoo With Rice Milk Extract 1,000 ml. 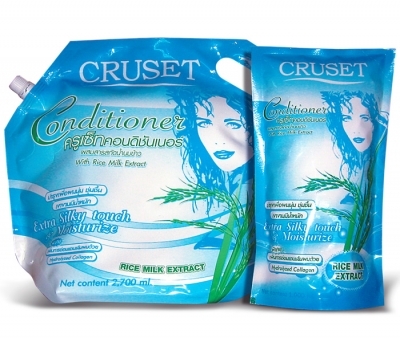 C462700C100UT Shampoo With Rice Milk Extract 2,700 ml.